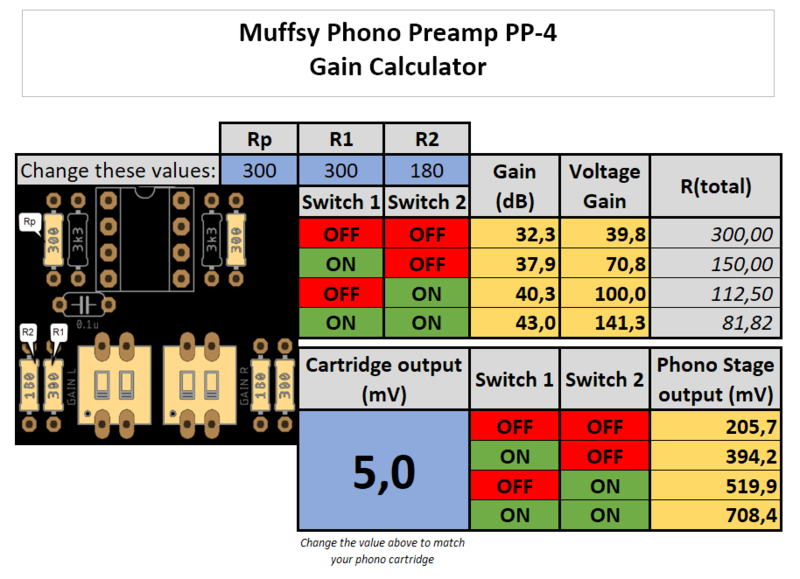 The Muffsy Phono Preamp PP-3 has four levels of gain to choose from. This function is here to make sure you can adjust your phono stage to suit the needs of your record player cartridge and amplifier. 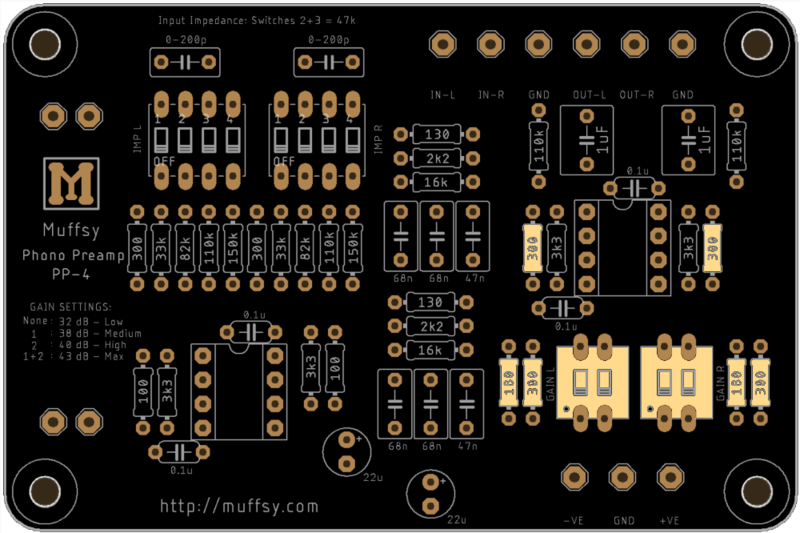 The gain switches and the resistors that decide the amplification are shown in yellow below. 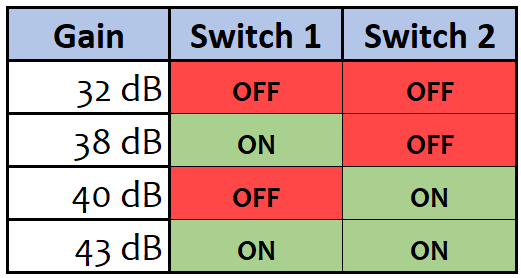 All posible settings of the gain DIP-switches have a gain level associated with it, making it impossible to choose a "wrong" value. The usual standard amplification of a phono stage is 40 dB (switch 2 set to "ON"). The other gain levels can come in handy depending on the rest of your audio equipment. Even though the Muffsy Phono Preamp PP-3 has very usable gain levels, they may not be entirely suitable for your needs. Being DIY, everything can be changed. Here's how. You will need to calculate the right resistor values, the ones labeled 300 (R1), 180 (R2) and 300 (Rp) ohms as shown below. This calculator made in Excel will do all the hard work for you. Substitute the original resistor values with the ones that you choose and use them when building your phono stage. It should be noted that a gain level of much more than 45-46 dB will most likely lead to more noise.